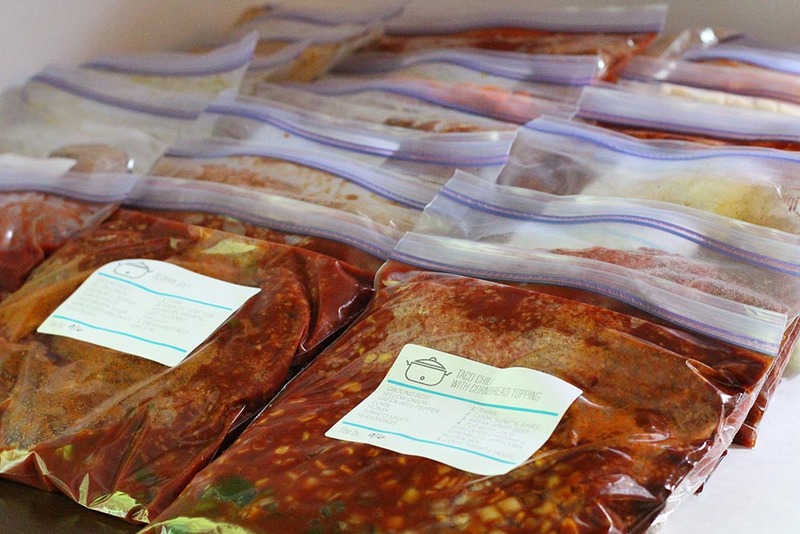 My mom and I got together and made 28 slow cooker freezer meals. Wahoo! It took us almost three hours, and our legs were tired, but now we’re stocked with healthy meals for the summer. 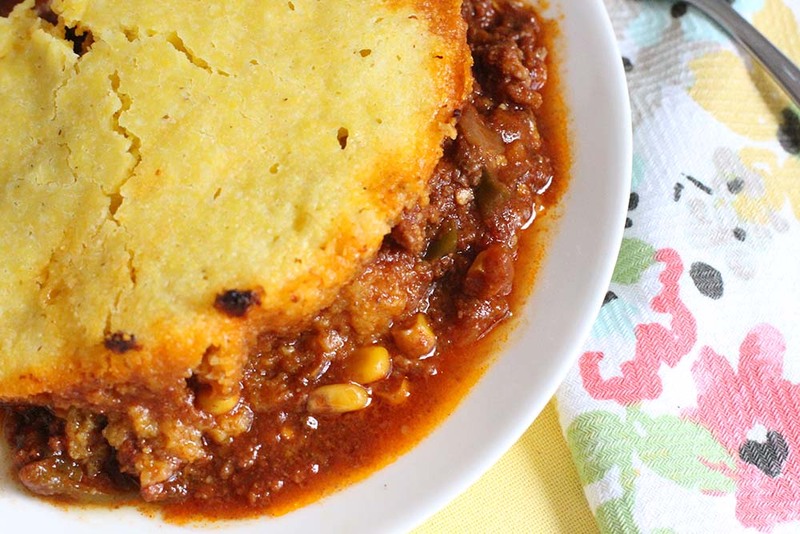 The recipes are from my CROCK’D Slow Cooker Freezer Meals eBook and it was so fun to make them all at once. 1. Start with the recipes. 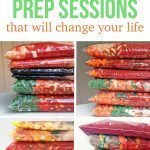 Pick recipes that will set you up for success. 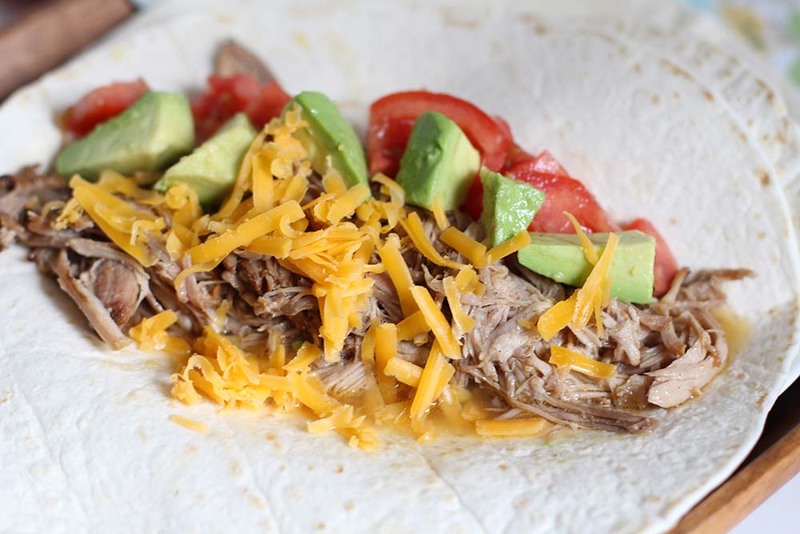 I highly recommend using slow cooker freezer meals or other recipes that don’t require any cooking ahead of time. Our freezer meal prep was so simple because all we had to do was combine the meat, vegetables, sauces, and spices and freeze. 2. 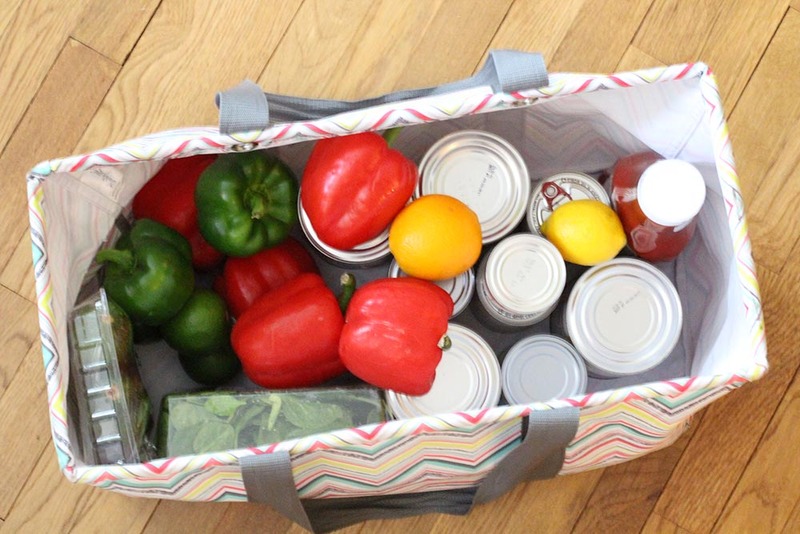 Make a grocery list and shop ahead of time. I used the grocery list from my eBook and shopped at Aldi, Costco, and a local grocery store. 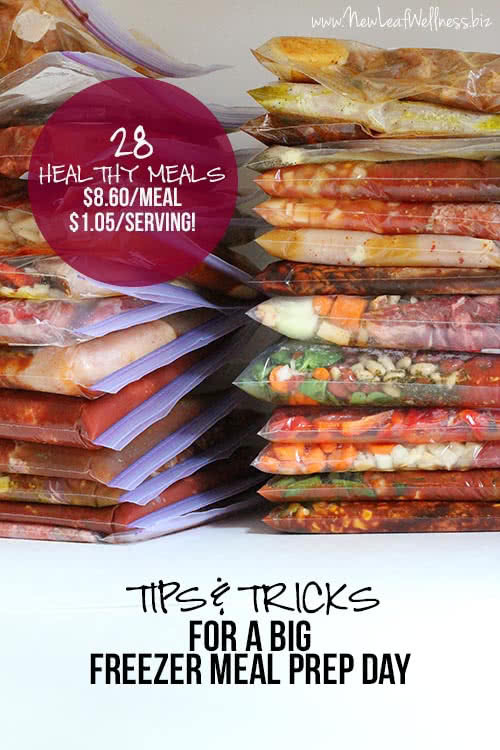 I ended up spending a total of $241, which works out to $8.60 per meal or $1.05 per serving. Such a great deal! 3. 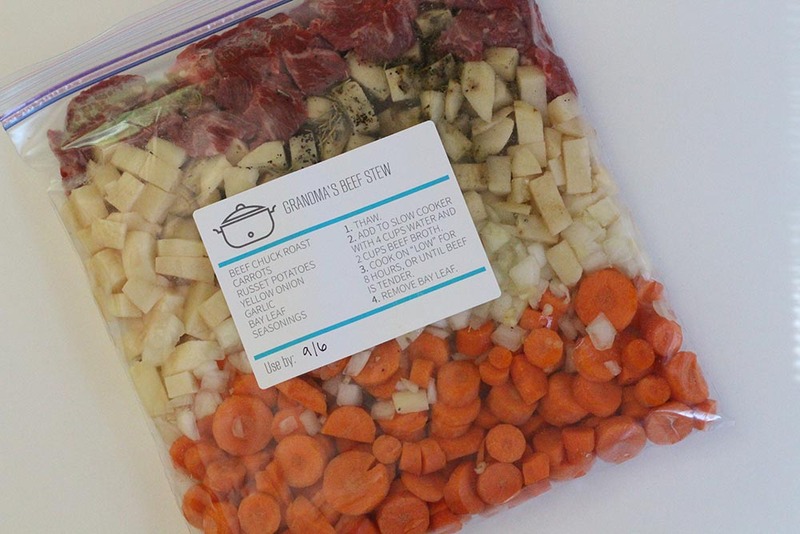 Make some room in your refrigerator and freezer. I stored my freezer meals in the extra refrigerator in our basement. If you don’t have an extra one, just clean out some space in your kitchen refrigerator’s freezer. 4. 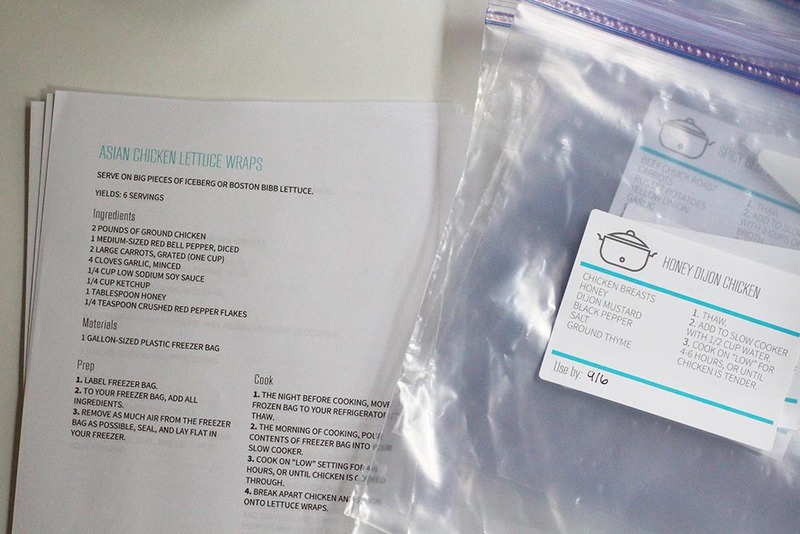 Print your recipes and fill out your freezer meal labels. I printed the labels from my eBook on sticker labels and stuck them to the bags. So easy! 5. Do some prep work ahead of time. This is optional, but it can save you a lot of time. 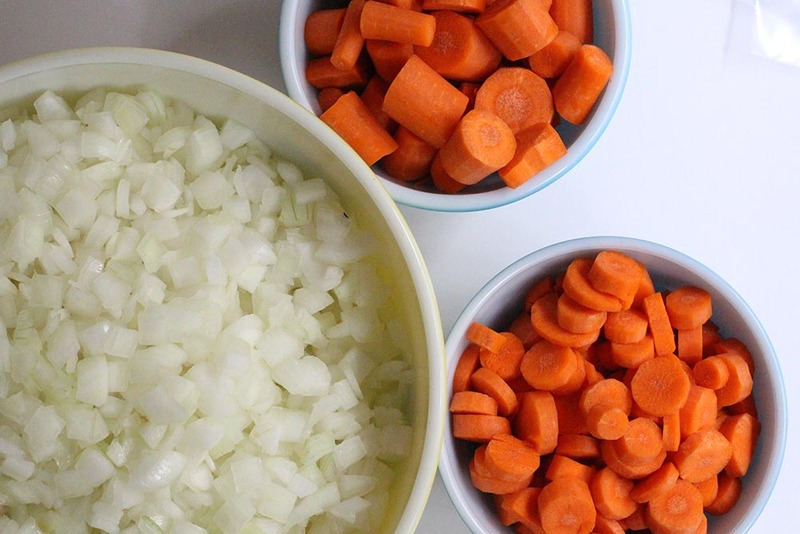 I decided to peel and chop my carrots and onions the day ahead of time. My food chopper made dicing the onions a breeze! 6. Set up your prep stations. We kept the meat in the refrigerator and grabbed it as we needed it. We put our finished freezer meals in the refrigerator too. 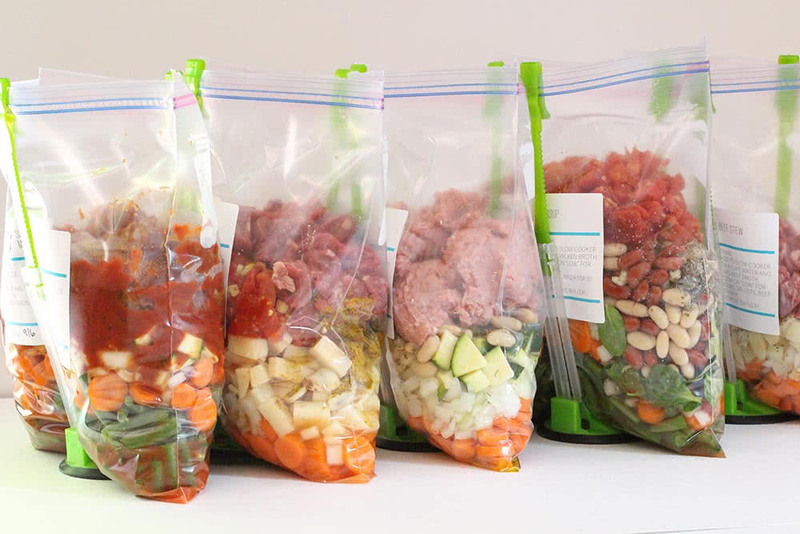 There’s really no right or wrong way to fill your freezer bags. My mom focused on one recipe at a time while I worked in an assembly line to fill 4-5 bags at a time. We listened to music and talked as we worked. It was a lot of fun and we decided we should start getting together once a month to prep meals like this. 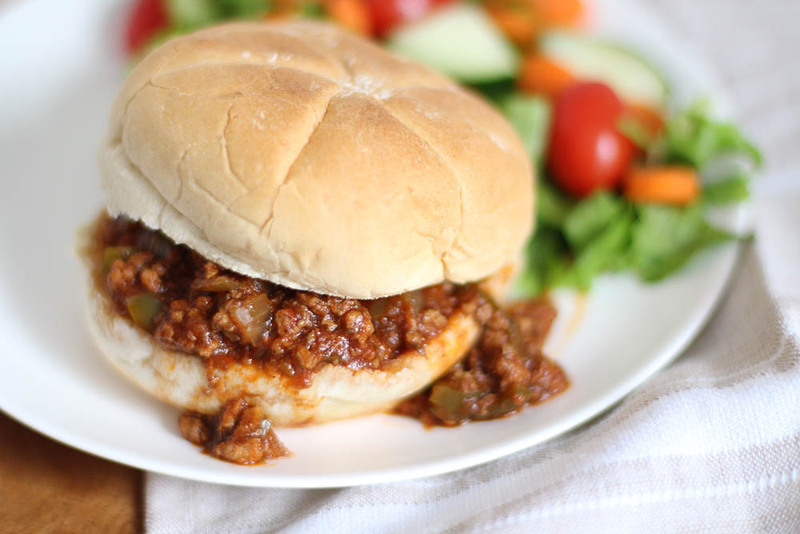 It only took us three hours to prep all 28 slow cooker freezer meals and clean-up the kitchen! Now we’re set with healthy meals for summer. When we were done, we split up the meals and I took mine home to freeze. I’ve already made four of the meals and they were DELICIOUS. Having meals waiting in the freezer is seriously the best thing ever. Thoughts or questions? Please leave a comment below and I’ll get back to you as soon as I can. I’d love to hear from you. P.S. 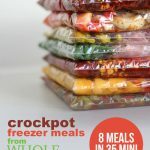 If you’re new to freezer cooking, my crockpot freezer cookbooks have a lot of great recipes and tips. I ordered the bundle today but haven’t received my email yet. How long does it take to show up? Hi, I just tried to purchase your ebook bundle using my credit card and it refused it as I already have a Paypal account and will only let me purchase using that account. But I don’t want to use my paypal account to purchase. I haven’t used it in over 5 years and I don’t want to start it up again. Is there any way to get around this problem? I would try to use a different card or create a new paypal account. Sorry for the inconvenience. Hi, I know you have answered this before. But I’m cooking for a family of five and would also like leftovers. Should I just double the recipes? I have a 6qt slow cooker can it fit two bags of food? It depends on the recipe. I would buy large roasts (3lbs+), double or triple the chicken breasts, and make the soups/stews/chilis as-is (because I don’t think more than that will fit in your slow cooker). 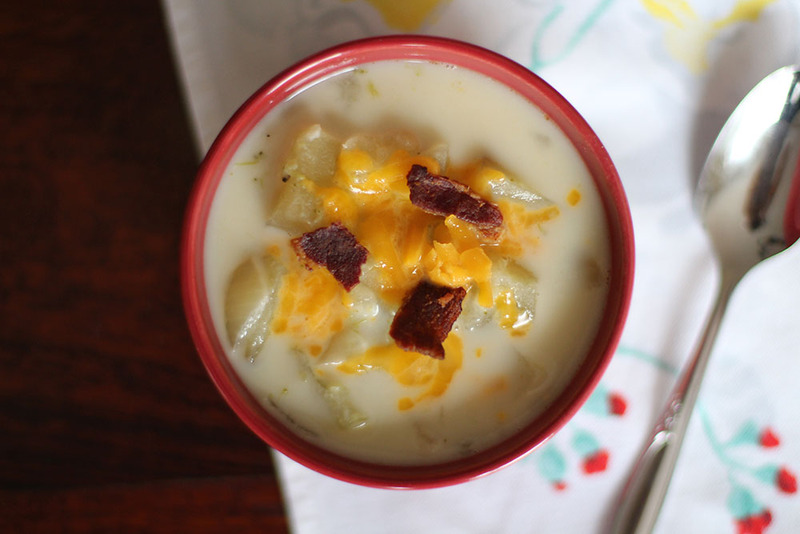 You might be able to add a little extra meat to soup/stew/chili. I love these meals! My husband and I prep on Sundays for our family of 6! He cuts the veggies while I load the bags with the other stuff! I love that I can do a month worth of meals for cheap and easy cooking! I’m a military wife and also love that I can pre-make meals for when he leaves! Wow, it sounds like you a have a great system going. Thanks for sharing! Is it necessary for me to find out if my freezer goes down to 0 degrees? It just has the numbers 1 to 10. I have no idea what the temperature is. I want to make sure its cold enough to kill any microbes in the meat. It’s up to you. I have my set on the “recommended setting” (I think that’s somewhere in the middle) and I’m not worried about it. I love this, and the dishes you have listed sound great! This is going to sound crazy, but it looks like they would be easily adaptable to be gluten free..is that the case? Yes, I think most of them are naturally gluten-free. You’d just have to check the sauces you buy for hidden sources of gluten in the soy sauce, tomato sauce, etc.